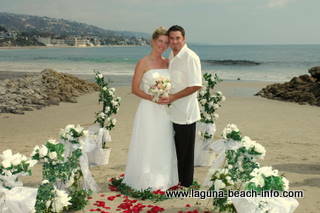 Laguna Beach Weddings combine the incredible natural beauty of the Laguna coastline with your most special day! There are countless different Laguna Beach wedding venues, and they all have wonderfully unique features that may draw you to one particular spot versus another. 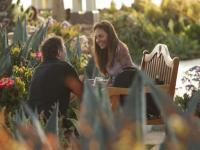 Share Your Laguna Beach Wedding or Engagement Photos! 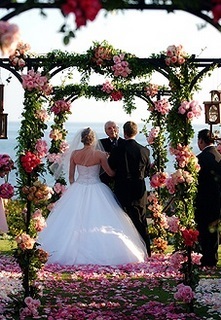 Many couples choose to perform their vows at the Gazebo in Heisler Park, directly on the sand at one of Laguna’s many beaches, in resorts overlooking the ocean, and at various restaurants that specialize in personalized events. Heisler Park Gazebo Once you’ve decided that you’d like to have a beach wedding, it’s important to select the perfect spot that matches your criteria. For example, if your guest list includes friends and family that may have difficulty navigating stairs or sand, certain locations may be more ideal than others for you! Other factors that may enter into your decision-making for Laguna Beach weddings may include: where your reception will be, weather for that time of year, wedding planners, parking, accessibility, etc. 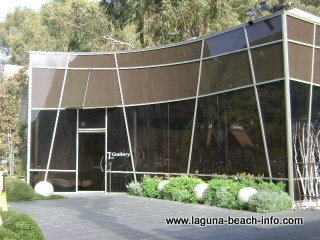 The City of Laguna Beach requires a permit for any weddings in Laguna Beach that occur at parks or beaches. The permits currently cost $231. You’ll want to submit this form as early as possible if you’d like to conduct your vows at one of the more popular locations, as approval may be subject to scheduling availability. The Laguna Beach Park Wedding Permit allows for two hours of park or beach usage, and restricts the total number of people depending upon the location. 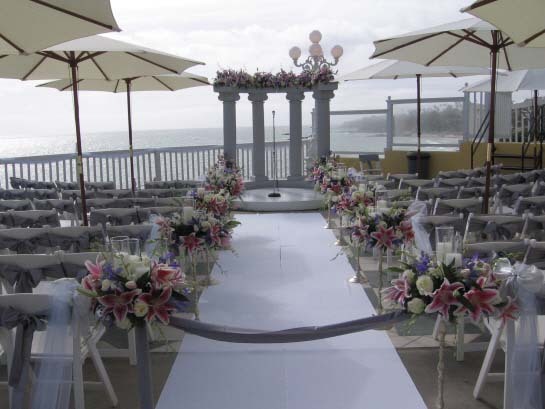 Generally, Heisler Park Gazebo weddings and Monument Point weddings are restricted to a maximum of 50 people and most other beach or park locations are restricted to 95 people. So where do you want to get married? If you’re thinking about a ceremony on the sand, take a look at each Laguna Beach beach and what they specifically have to offer. Some beaches have restrooms, adjacent parking, and easy access for guests- while other beaches offer stunning rock formations, but limited amenities that you may desire for your Laguna Beach wedding. 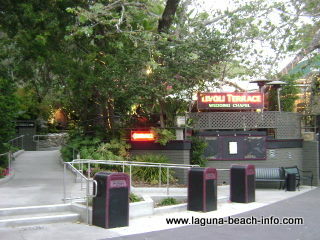 Many couples choose to perform their wedding ceremony at Laguna Beach hotels. One advantage of having your ceremony performed at one of these establishments, they often have a wedding coordinator on staff that will help you arrange the details for your special day! Now that you’ve thought about your ceremony, it’s time to consider where you’ll have your reception! If you’re planning your Laguna Beach wedding at a luxury resort, then this decision is rather easy, as you’re reception will likely be on the resort property. 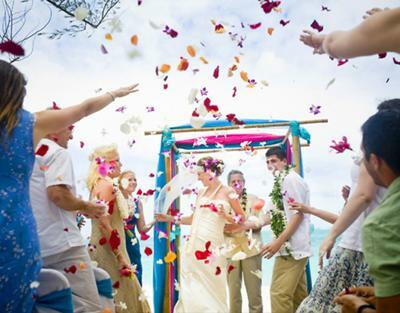 If however, you’re having your ceremony at a Laguna Beach park or beach, then you’ve got more decisions to make! Do you want a garden reception, chapel reception, or something different entirely? For garden style outdoor receptions, you might consider popular Tivoli Terrace or Tivoli Too, nestled in the entrance to Laguna Canyon. These reception venues offer elegant and relaxed dining with plenty of shade under the canopies and trees. 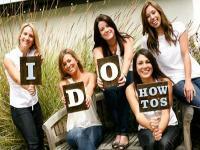 To help create the most amazing and stress free wedding day, I recommend utilizing the services of a wedding coordinator. There are several Laguna Beach wedding coordinators that can help you plan and enjoy the perfect day for you and your future spouse! Wedding Photography choices vary as much as the beaches do! Many factors may influence your choice of photographer; including personal recommendations, experience, rates, etc. I recommend that as you try to select which Laguna Beach photographer will be right for you- you take a look at their portfolio of previous work and if possible, call a few of their references and interview them regarding their experience. This is your special day, you want to capture it for eternity – without having to worry about what the photographer is getting. Do your homework up front, and that way you can relax knowing that you found a professional who will not only catch the best shots, but they’ll provide quality prints, in a timely manner, at the price that was agreed upon! I highly recommend Rachel Williams Photography. I have attended several weddings and receptions where Rachel and her staff captured amazing shots without distracting from the couple's special day! 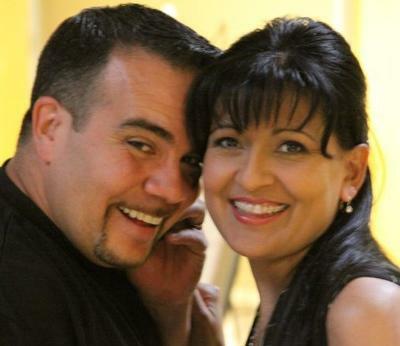 She also creates amazing photo memory books of your event. Make sure that you check out Rachel's site before you hire a photographer for your wedding! Also- the City of Laguna Beach requires a photography/film permit for still photography and video sessions that take place at public beaches and parks. The current permit rates and application can be found at the link below. 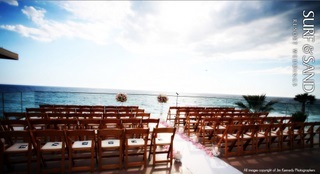 Regardless of which setting you prefer or how you plan your event, Laguna Beach weddings are always beautiful! Congratulations on your special day! "at the BeachHouse out on the patio and proposed to her... it was one of the best days of my life!" 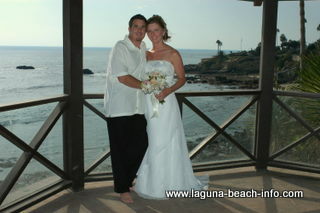 Share Your Laguna Beach Wedding Photos! 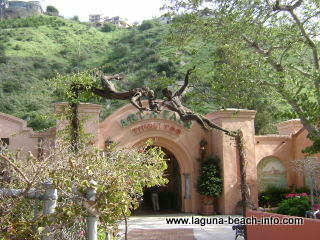 Did you get married in Laguna Beach? Share up to four photos online here!